The leaves of the Moringa plant have always been known to have extremely positive health benefits. Making tea from them will again provide you with these benefits. Moringa tea is made using the leaves of the plant and is filled with potent antioxidants. By steeping the leaves in hot water for a few minutes, you can make Moringa tea like other green teas. The tea will brew and release the nutrients and antioxidants the body needs and you can enjoy it in a refreshing and flavourful hot beverage. To make the Moringa tea as it is bought, the leaves are dried and preserved to retain their nutrients. The dried leaves are shredded and bagged into packets (for loose tea) or bags (for tea bags). Moringa tea is an excellent natural energy drink without the bad effects of caffeinated products. The vitamins present are perfect for clearing the mind and boosting energy. The tea leaves do not only work for tea, either. Once used, the leaves can be used in milkshakes, salads or other main meals. Drinking the tea on a regular basis is known to increase energy and manage weight loss and diet. It detoxes and nourishes the immune system, too. Moringa leaves and fruits are used in vegetable soups as well, if drinking tea isn’t part of your routine. Just like any Moringa products, the Moringa Tea benefits are countless. Looking for a health boost? Or opting for a healthy cosmetic? Hoping to prevent long term illnesses? Moringa tea on a regular basis is the ideal drink for you! The fact the drink is a natural energy booster with zero caffeine means it’s the ideal revitaliser for those intolerant to coffee and caffeinated drinks. Vitamin C and E improve blood circulation to the scalp, which helps provide the right nutrients to the hair follicles and encourages more to grow. Brittle and weak, discoloured hair is a thing of the past. Skin will become more youthful and toned, whilst nails have an extra shine thanks to all the essential amino acids being present in the plant and its produce. Rich in the antioxidants, vitamins and minerals that are vital for the body to survive, Moringa tea helps to improve the immune system, by fighting off free radicals deemed as a threat to the body. One well-known benefit of Moringa tea and other products from the tree is that it’s ideal for anyone looking for a little face lifting as old age kicks in. The minerals in the tea improve blood circulation which helps to plump the face and high the signs of lines and wrinkles on the face. Antioxidants are always found in superfoods that promote smooth and blemish-free skin – giving you a fresh and youthful look. Huge amounts of fibre is present in the Moringa tea products, so the tea will boost metabolism and encourage proper food digestion; breaking saturated fats down and moving food along the process. 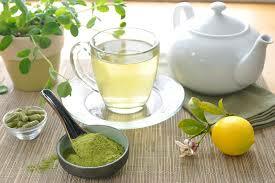 Many detox diets suggest drinking a cup of Moringa tea before bed, or early in the morning. The tea helps to curb cravings so you are less likely to eat as much. Cravings are curbed thanks to the huge vitamin and nutritional value Moringa tea has without having to intake tonnes of calories and food. By filling your body with all it needs, the Moringa tea essentially stops hunger signals to the brain and you are left satisfied for longer durations of time. Substances in the tea – such as the high fibre content – enables the metabolism to work faster, which burns calories and gets rid of food waste quicker. This helps to maintain a healthy weight. Inflammation in women can be partly due to an estrogen deficiency when arriving at the menopausal phase – resulting in older women suffering from conditions such as arthritis and Alzheimer’s Disease. There are many other ways in which chronic inflammation can occur, so it is advised for target groups to take an anti-inflammatory supplement on a regular basis as prevention. Moringa tea is the easiest way to get your fix, boasting a huge 36 anti-inflammatory ingredients. Vitamin C and Beta-carotene found in the tea lowers blood sugar levels by reducing the absorption rate of sugar into the blood stream. This has been a great success for treating those who suffer with conditions such as diabetes. With both a large amount of vitamin D, potassium and calcium present, the Moringa tea can reduce the risks of cancer and strokes. Potassium is essential for maintain the brain and nerves. Chlorophyll is an important ingredient used by the body to neutralise toxins. The chemical helps our digestive system flush toxins out of the body and remove anything that can pollute the blood. This neutralising technique reduces the ph level of the body and rejuvenates the cells. Proteins and amino-acids are the building blocks of the body. They encourage cell growth and strengthen the bones. Both are present in Moringa tea – accounting for 18 of the 20 known amino acids that the body needs. These amino acids usually come from meat and dairy; both of which are not always accessible for those in third world Asian countries. Moring provides them with all the nutrients they need to keep developing. Moring tea is high in antioxidants like Vitamin C and carotene. In any health blog, you’ll hear the word Antioxidants thrown around a lot. 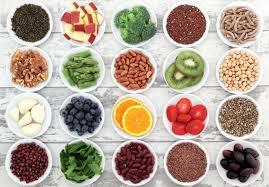 Antioxidants are compounds that prevent damage coming to cells in the body. Damage can include cancer, ageing and a number of other conditions and diseases. Disease is often caused by ‘free radicals’ – a group of atoms that can harmful to the cells and cause life-threatening illness. They are created when oxygen interacts with molecules. Antioxidants work as a natural defence mechanism against free radicals and boost the immune system. There are 20 types of antioxidants, but only 8 are essential for biochemical components. 18 of the antioxidants – including the 8 essentials are found in the Moringa plant, and as consequence, in the Moringa tea. Enhances energy levels and the mind’s alertness by working with the Isoleucine in the body. Lysine makes forms collagen for bone cartilage and tissue. It insures the body absorbs regulated amounts of calcium and promotes the production of antibodies and hormones. Studies have also shown that Lysine improves the balancing of nutrients and prevents viral growth within the body. Methionine prevents hair, skin and nail problems. The antioxidant is present within the Moringa tea and promotes healthy hair, toned skin and shiny nails. 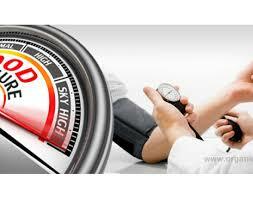 It also lower cholesterol and reduces the risk of kidney problems or bladder infections and irritations. To transmit signals between the nerve cells across the body to the brain, a chemical is produced by the Phenylalaine antioxidant. It keeps the brain alert and focussed and improves the memory and a person’s mood overall. It also helps reduce hunger pains, which make act as part of the reason by the tea can aid people lose weight and maintain a healthier lifestyle. Assisting the metabolism, Threonine plays an important part in enamel proteins and prevents fat building up in the liver. It also boosts the body’s digestive system and intestinal tracts. Tryptohyan prevents sickness of the brain. It is known to alleviate the symptoms of mental health issues such as Anxiety and Depression. It also alleviates insomnia and the irritation of migraines. Tryptohyan also decreases the risk of artery and heart spasms and reduces cholesterol. The last of the essential 8 antioxidants is Valine. Valine encourages and maintains a sharp mind so that we can stay focused on day to day activities. It also works to keep muscles co-ordinated and promotes a calm mood. The last Moringa Tea benefit of course lies in the fact that this all-natural source of nutrients has been found to cause zero side effects that are unwanted by the consumer. Whilst a general boost in the body’s health can be classed as the main benefit of regularly drinking Moringa tea, other benefits – such as a replenished skin texture and shiny hair can be seen as positive side effects of the product. So far, no ingredients or products from the Moringa tree have been known to cause any negative effect on the body and its functions. Whilst buying Moringa loose tea or tea bags may be the easiest option, not all states and countries have it easily accessible. In such cases, Moringa tea can be made at home. You will need to harvest fresh leaves – 3 to 4 stalks – and dry them at room temperature for a little while. Place the dried leaves in a holey paper bag and store in a cool area for 10-14 days. (Alternatively of course, if you cannot access fresh leaves, opt for pre-dried leaves at your local health store). Once dried, shred or pulverize the leaves so that you’ll benefit from the nutrients and vitamins the leaves provide in every cup of tea equally. To prepare the drink, add hot water. Add a little sweetness and freshness to the drink by stirring in a little sugar and lemon. You may find in health stores that Moringa is available in a powdered form. This can be used similarly to make tea or smoothies. The powder has a mild flavour which gives the tea a light and earthy taste. Click here to buy 100% natural Moringa tea 🙂 ! With all these benefits, it’s no surprise as to why the Moringa tea hype is gaining momentum. Offering to boost the immune system and appearance of skin, provide an solution to weight loss and giving the body all it needs to survive, Moringa tea is a miracle drink. With no side effects recorded, adding a cup of Moringa tea into your diet is possibly the easiest way to give your body the nutrients it needs to survive. Make the tea from home, or buy it in a health store and prepare yourself to reap the benefits in no time. If tea isn’t your cup, there’s plenty more ways to use the Moringa tree: Seeds and pods are used as snacks and oil extracts are popular in cosmetic products for the skin and hair. The leaves are used for tea, condiments and much more – with some claiming that the most benefits are available from using the leaves. You’re bound to experience a revitalised healthy lifestyle starting from the first cup of tea. There’s much more that the Moringa tree can offer that is yet to be discovered and research is still ongoing. For now, be sure to check out some of our other articles to find out more about the Miracle tree. Svp je cherche à concevoir 1 bébé,est ce que la consommation du thé moringa peut nuire à mon projet ? Do you buy organic moringa seeds ? Tout à fait ! A titre d’exemple, Le Moringa contient autant de magnésium que le cacao. Bonjour, je commence avec la transformation des feuilles de moringa en poudre. J’utilise un tamis Après avoir boyé les feuilles. Est ce qu’ il ya d’ autres moyens pour en tirer la poudre la plus fine. Avec toute amitié. Bonsoir mesdames et messieurs? comment traité la tension artérielle avec le moringa s’il vous plait? Vous pouvez utiliser les graines de Moringa pour la tension artérielle. Nous recommandons de 2 à 5 graines par jour, à consommer après avoir mangé (pas le ventre vide), et en ayant pris soin de les peler. 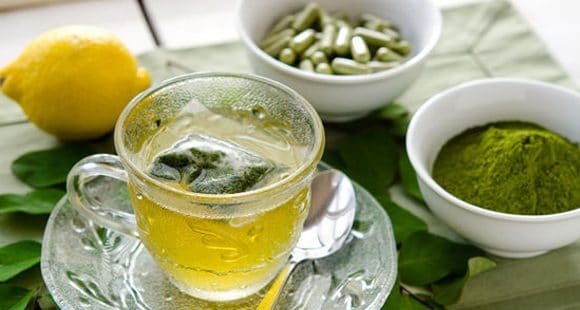 Bonjour, quel est le dosage pour faire une infusion de moringa.? . Combien de temps peut-on conserver la poudre de feuilles de moringa ? Vous pouvez conserver la poudre plusieurs mois une fois le sachet ouvert, il faut cependant veiller à ce que la poudre soit à l’abri de l’air et de la lumière. peut on faire le thé avec les feuilles fraichement cueillit? Nous recommandons de faire sécher les feuille et de les réduire en poudre afin de faciliter l’infusion. La durée peut varier, généralement les premiers résultats s’observent après 2 à 3 semaines. 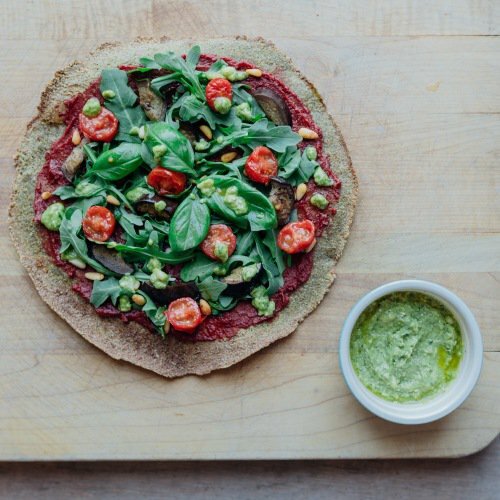 Vous trouverez aussi comment accéder à notre guide spécial perte de poids, ainsi qu’un menu spécial régime à base de Moringa. This miracle tree prevents flu in winter when consumed regularly especially when fresh. I have the tree in my back-yard. Oui tout la jouée,Je le consomme 10 à 15 fois par jour , j’ai plus que 300 arbres productifs,et tout la famille le consomme même en salade. Le Moringa ne connaît aucune contre indication ou effet néfaste pour la santé. Rappelons qu’il ne s’agit pas d’un médicament mais bien d’un arbre aux nombreuses vertus. De plus, tous nos produits sont compatibles et complémentaires, ils n’ont pas d’interaction avec des traitements chimiques. Le thé (infusion de Moringa) est idéal pour renforcer votre système immunitaire et lutter contre la détérioration des cellules, notamment grâce aux antioxydants qui luttent contre la présence de radicaux libres. Nous espérons vous avoir aidé 🙂 ! Je prends 5 grosses graines de moringa chaque jours depuis 3 ans pour soigner mon diabete de type 2, or actuellement en rupture, dîtes moi s’il vous plaît combien puis-je prendre de thé de moringa par jours pour compenser mes graines. Nous conseillons de consommer 2 à 3 thés de Moringa (infusion) par jour. I really want to observe the miracles of moringa tea within my body. Where can I get it? Where can I get moringa tea? I really want to observe the miracles of moringa tea within myvbody. Where can I get it? bonjour voila j en prend de temps en temps mais je me demande si je pouvais en prendre toute la journee comme eau a boire ? Le Moringa étant très riche en nutriment, nous vous conseillons d’en consommer 2 à 3 fois par jour afin de profiter au mieux de ses bienfaits. Our Moringa come from North of Thaïland.